A Scandinavian love of nature inspired Aino Aalto's radical glassware. 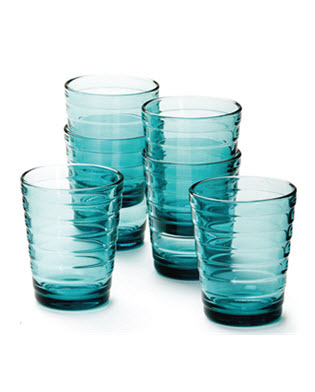 Aino Aalto's glassware has been in demand and in production since its launch in 1932. Proof that essential design surviuves the test of time. Originally named Bolgeblick, an old Norwegian word referring to the rings made on water when a stone is thrown. At the Milan Triennale in 1936 she won the Gold prize. Order $250.00 or More For Free Shipping. 3" x 4" H. 11 Oz.